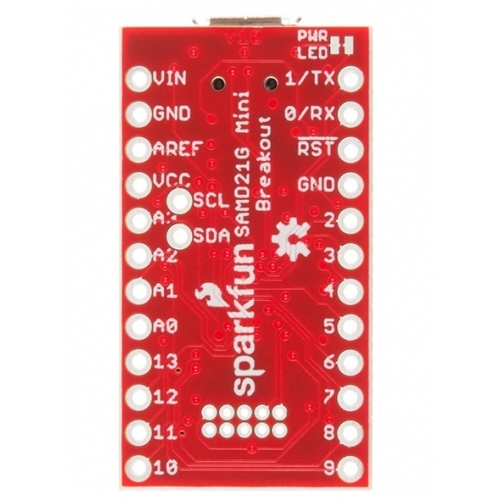 The SAMD21 Mini Breakout is a Pro Mini-sized breakout for the Atmel ATSAMD21G18, a 32-bit ARM Cortex-M0+ processor with 256KB flash, 32KB SRAM, and an operating speed of up to 48MHz. 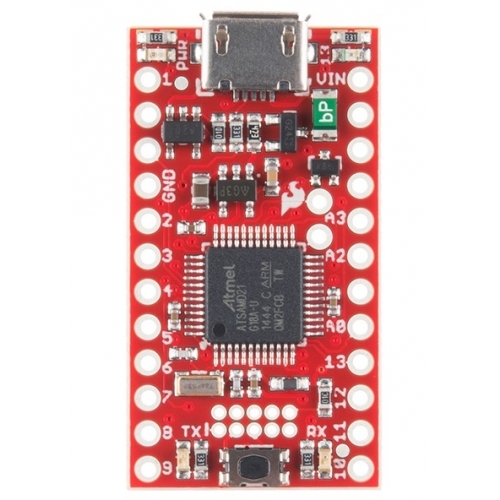 This mini breakout provides you with an Arduino hardware option that solves the problems of low storage limits and dynamic memory stack overflows that have plagued the previous iterations of the Arduino family. 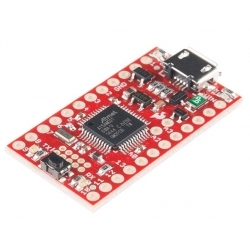 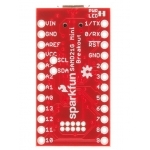 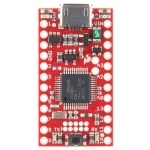 Yes, the SparkFun SAMD21 Mini Breakout is even fully supported in the Arduino IDE and libraries for the Arduino Zero!